Unfair Wills / Blog / Challenge/ Contesting a Will / Allegations of trickery, hypnotism and lack of capacity in will dispute. Allegations of trickery, hypnotism and lack of capacity in will dispute. 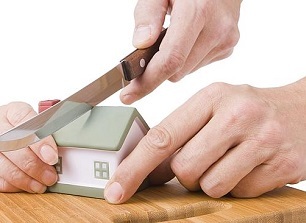 Contested probate matters are often referred to as ‘interest based litigation’. This means that in order to have legal standing to oppose a grant of probate in a deceased estate, a person mounting a challenge must be able to demonstrate they have a relevant interest in the estate. Citing various uncommon grounds, a challenge was made against a Will in the matter of In Re: the Estate of Iris McLaren; Mariconte v Nobarani  NSWSC 667. Judgment in this matter was delivered on 22 May 2015, the day after the 2 day hearing concluded. 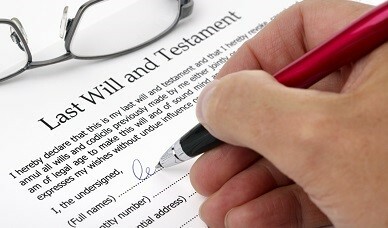 The brief facts are that a Will was sought to be probated by an executor named in a handwritten document made in hospital shortly before the deceased’s death in December 2013. A contest arose as a person who became the second defendant in the proceedings lodged a caveat on probate, which in effect, requires evidence to be considered by the Court as to the validity of the Will. In some cases, challenges to validity can be based on an allegation the testator lacked the requisite testamentary capacity to make a Will, lacked knowledge and approval of the document or in other instances where there were suspicious circumstances, undue influence or fraud. Because the second defendant was named in a prior Will, he had the necessary legal standing to challenge the grant of probate being sought by the executor. The second defendant appeared in person, without legal representation. The evidence put forward by the second defendant was described by the Court as being ‘in a disorderly state’. For example, some affidavits and material were put before the Court, but the Court did not consider this material as it was not properly put into evidence. Whether that evidence was potentially irrelevant is unclear, but it demonstrates that it is always important to obtain experienced legal representation to ensure that evidence sought to be put forward is able to be considered admissible by the Court as evidence. The issues agitated in the matter were wide ranging. This required the executor seeking to admit the last known testamentary document to probate to prove that the document was properly executed, the deceased had capacity to make the will, and that the deceased had the necessary knowledge and approval of what was contained in the document. The solicitor who prepared the document in the hospital was called to give evidence, and he was able to provide information to the Court about his observations of the deceased and the manner of execution of the document. The evidence considered by the Court included that the deceased had made prior Wills, and as such, in the event the document being sought to be admitted to probate was invalid, then one of those prior Wills may in fact have been the deceased’s last Will. Complicating this issue was an allegation by the second defendant that a homemade Will had been made shortly before the deceased went into hospital. The document being put forward by the executor bore the date 5 December 2013 and was made while she was in hospital. It was therefore necessary to consider the possibility that another Will had been made, however, no evidence of a homemade Will could be found. The second defendant also argued that the date on the last known testamentary document was incorrect. The Court took the view that if the document dated 5 December 2013 was the last Will made, and that if it was valid, it would not matter whether a prior homemade Will had been made as the later Will revoked it anyway. The Court relied on witness testimony to determine when the document was signed and dated, and was satisfied that the date of 5 December 2013 was the same day the document was properly executed. Whilst the Court did observe there was a difference in the signature of the deceased on the 5 December 2013 document to other handwriting samples that could be examined, the Court determined that the signature was consistent with what could be expected from a person a week away from death and lying in a hospital bed. Amongst the other issues raised by the second defendant, it was alleged that the deceased did not have capacity to make the Will on 5 December 2013 because she was excessively sleepy, drugged, hypnotised and had poor eyesight. None of those allegations were given much weight by the Court in the context of the evidence available from other credible witnesses. Importantly, the second defendant was not present at the hospital to observe the deceased at the time he said the alleged issues arose. The solicitor who prepared the 5 December 2013 document in hospital, for example, had a long association with the deceased. The solicitor was able to give evidence about the deceased’s state of mind and her understanding of the effects of the document she was asking him to make. Although the second defendant admitted he was not present when the Will was signed, he also made allegations of trickery at the time the Will was signed. This included the allegation that the deceased was tricked into signing the document because she thought she was signing something else. It was also alleged that potential witnesses were sent away from the room to allow the deceased to be mislead. As is required by the dictates of justice, the Court heard the evidence and weighed the balance of probabilities. The Court found that no doubt was cast on the validity of the last Will signed by the deceased and that a grant of probate should be made to the executor. The Will was rational and appeared to have been prepared correctly with the assistance of an experienced solicitor. None of the allegations raised against the Will succeeded, and as with all litigation, there is a risk that a losing party will be required to pay the legal costs of the winning party. In this case, the second defendant was ordered to pay the legal costs of the executor, which after a 2 day hearing in the Supreme Court, would have likely been significant. What is important for everyone to consider, and as is clearly demonstrated in this case, is the importance of preparing your Will setting out your last wishes well before you are in a position where people could allege that your Will was not properly prepared. It was fortunate that a solicitor with a long association with the deceased was retained to prepare the Will in hospital, as the records, observations and evidence from the solicitor were vital in allowing the Court to make findings of fact about the validity of the last Will. Will the Government inherit your estate?